"HL CHALFANT participates in many of the leading fine art and antique shows in the country. Please view the list below to see our upcoming events." As a charter member of the Chester County Antique Show, HL CHALFANT has been an active supporter of both the organization and the growth of its prominent antique show. In addition to some of the finest dealers in Chester County furniture, you'll find 18th and 19th Century American and Continental furniture, rugs, paintings, porcelain, glass, silver, jewelry, needlework and other decorative arts. See you at the Phelps School in Malvern, PA. Please visit the Chester County Historical Society page for more details. The Philadelphia Antiques Show features 50 leading antiques dealers and galleries who continue to set the standard for outstanding quality and integrity. These exhibitors will bring together the finest examples available today including period furniture, folk and fine art, ceramics, porcelain, silver, jewelry and textiles. 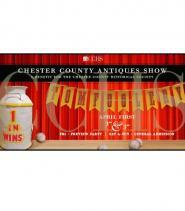 Visit the Philadelphia Antiques Show web-site to learn more about the event, purchasing tickets and directions. 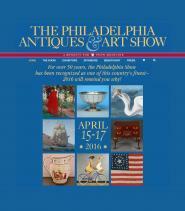 Learn more at the Philadelphia Antique Show web-site.